My mother’s face was apologetic, and I smiled reassuringly. It made my heart tighten to think that my mother- my biggest inspiration- would think that the childhood she gave us was lacking. But I understood perfectly. Now that I’m grown with children of my own, I get how easy it is to worry about the things and experiences you can’t give to your children. But you want to know what I’ve learned? The biggest surprise of motherhood has been that what I can’t give doesn’t matter. 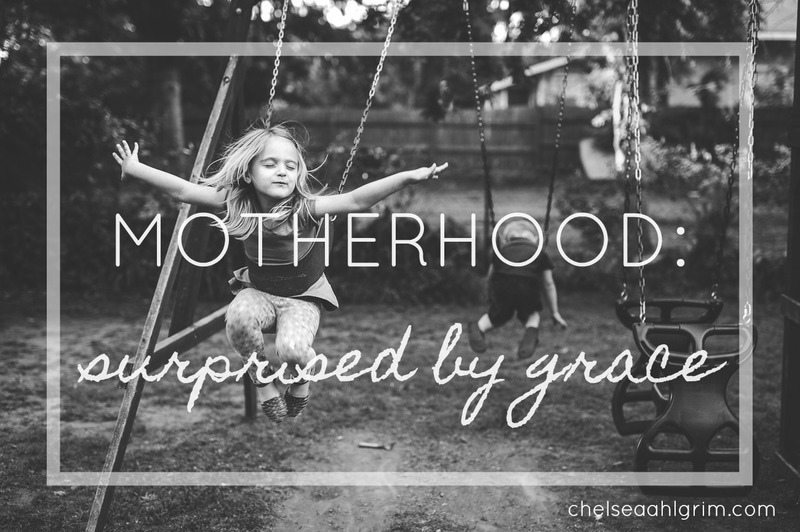 There is grace in that, mommas. So much grace! Listen, I know there are moms out there who are struggling to make it- maybe even on their own- and regretting the things that they cannot give their children. The guilt can be crippling sometimes. You wake up before the sun and work a job (or two, or three, like my mother) that you don’t love simply to keep the lights on and food on the table. You fight to make it to every game and concert and activity even though you can’t really afford to miss work. You make sure not to make promises for fear that you won’t be able to follow through. You have restless nights worrying about how you’ll afford school supplies, uniforms, fees, and club memberships, and you know the pain of seeing your child’s face drop when you have to say no again because the money just isn’t there. You also cry, but you’ve gotten really good at hiding it, because they aren’t tears for you, they’re tears for them. I know you do. I know it because I saw my own mother do it. Although, I didn’t really understand the depth of it- not until I had kids. Oh mommas… don’t you know by now? Don’t you see? The material things that we can’t give our children do not matter. Not even a little bit. What I took away from my childhood was so much more important than getting to stay a couple nights in a hotel room and ride some rollercoasters. A day at the beach could never have taught me what I know about mothering from watching my own mother. Hard work. Dedication. A spirit of determination. Accepting help when you need it, and never taking more than you need. Gratefulness. Joy in what you have, instead of sorrow for what you haven’t. And love. Love in the form of late nights and early mornings, endless chauffeuring to games and activities, heart and soul- not money- poured into the simplest of days to make them special, ears that listened, pride swallowed, body broken, hands calloused, eyes tired, and heart full. But can I tell you something? They see it. Your children. You might think they don’t care or appreciate you, but they see it. And someday, they’ll understand it too. They will feel it in their bones. Your love-struggle will be interwoven into the innermost fabric of their very being. Don’t you see that what you’re giving them is so much more important than what you can’t give them? You know what breaks my heart even more than knowing that *I* never got to take a vacation as a kid? It’s knowing that my mother never got a vacation. Because now that I’m a mom I know. I know that no one in the world deserved it more than her. Not for us, for her. For YOU, momma… but it never mattered to her as long as we were healthy and happy. You have not struggled for nothing, momma… so keep going. Redeemed. Wife. Homeschool Mom. Photographer. Owner and lover of century-old homes. Oklahoman.